Jennifer Schaus has worked as an independent contractor for years, running her own K Street consulting firm, which helps companies navigate the federal government’s maze of opportunities. So when it’s time to sign a new agreement with a client, she takes time to make sure the contract works for herself and the other company. “I go through a couple of revisions until both parties are happy,” she said. Working without a contract is fraught with peril. Independent contractors are not covered by most federal labor laws and protections; there’s no overtime, no discrimination protection, and, most of the time, no severance or unemployment insurance. Contractors need to put their protections into written agreements before they start work. “Do your homework before you begin negotiations,” said Sara Horowitz, founder and executive director of the Freelancers Union, an organization that provides information and health insurance to 135,000 independent workers nationwide. Gather information from others in your field or join a professional organization to learn what the standards are for your sector and the work you’re about to undertake. Even if you are starting with someone you trust, it’s worthwhile to sum up your agreement in an e-mail. That creates a record of some details on how you’re paid, the pay rate and more, Horowitz said. “The most important thing is to get a real clear idea what the project is about. . . . That’s your best safeguard to not having problems,” Horowitz said. Then consider the final work product and determine whether you can retain any rights to it — whether it’s a white paper, an original illustration or a software code. If you’re offered work as an independent contractor from your former employer, it may expect to have all rights to whatever you create, the same as it did when you worked there with benefits and vacation time. Make sure you’re not signing away rights that could prove valuable, she advised. Schaus suggests working on-site for some, but not all, of your billable hours. Being on-site can give you a greater understanding of the organization, its processes and its plans, which could lead to more contract work. Yet you’ll want flexibility so you can work from home or a vacation cabin in Cape Cod this summer. Two of the keys to a good contract are milestones that trigger payment and the terms of payment. Milestones will vary by the project, but they need to be clear and obtainable. Payment terms may need to include a collection provision or a clause that allows for late fees. Forty percent of independent contractors had trouble collecting their payments last year, according to a Freelancers Union survey of 3,000 people. Many independent contractors barely eke out a living. Eighty-one percent reported they did not have enough work last year in the Freelancers Union survey. Some contractors will ask you to sign non-compete and nondisclosure agreements before you begin. Review those carefully and limit their scope and duration. A non-compete agreement should last only until the project is over, according to “Working for Yourself,” a NOLO book aimed at freelancers and consultants. Choose clients carefully. Try to have two to four clients you actively work for so if one drops you, you still have income. Find an objective third party, such as a lawyer or veteran contractor, to review the contract before you sign. Don’t let work creep up. “If they throw more responsibilities on you, you need to amend the terms and scope of your contract,” she said. Include a renewal clause. If you build renewal into the contract, consider adding a 2 percent increase to your fee upon renewal. — By Vickie Elmer, Thursday, May 13, 2010; 3:20 PM – The Washington Post – Elmer is a freelance writer. If you are interested in doing business with the Defense Logistics Agency (DLA), make plans now to be in Savannah on June 15 & 16. DLA is the Department of Defense’s largest combat support agency, providing worldwide logistics support in both peacetime and wartime to America’s Military Services as well as several civilian agencies and foreign countries. DLA is responsible for nearly every consumable item used by our military forces worldwide. These include aviation, land and maritime weapon systems spare parts, fuel, and critical troop-support items involving food, clothing and textiles, medical, and construction equipment and material. DLA also procures depot level repairables. The June 15-16 conference is co-hosted by the Defense Logistics Agency, the U.S. Women’s Chamber of Commerce, and the National Association of Small Business Contractors and is designed to connect small business suppliers with the DLA. Special note: This event will have a special focus on suppliers with products listed on this Federal Supply Class List. To see the full agenda and to register, visit http://www.uswcc.org/dla-ga. Among those speaking at the event are the Georgia Tech Procurement Assistance Center’s Larry Blige, and Vikki Hawthorne of the Defense Supply Center- Columbus, Small Business Programs Office. Here are a few tips from GTPAC. If you decide to attend this event, you’ll want to prepare. To assist you in this process, be sure to read our articles on attending a government trade show, how to prepare an “elevator speech,” and the need for a Capabilities Statement. GAO denied a protest by Perot Systems Government Services, Inc. (Perot) finding that the contracting officer properly rejected Perot’s proposal that contained labor rates not yet approved by the General Services Administration (GSA) [Perot Systems Government Services, Inc., B-402138, Jan. 21, 2010]. Rejecting several arguments from Perot as to why the rates in its proposal were fair and reasonable, GAO held: “vendors under FSS purchases must quote schedule prices that are published and that have been determined to be fair and reasonable by GSA.” GAO noted that the only exception to this rule was for additional discounts offered from approved GSA prices. GSA sought bids from contractors holding Federal Supply Schedule (FSS) Schedule 70 contracts for certain professional services. At the time it submitted its proposal, Perot was in the process of negotiating a five-year extension of its Schedule 70 contract. Perot had proposed new labor rates for the five-year extension, but those rates had not yet been approved by the GSA contracting officer. In its proposal, Perot use its proposed, but unapproved labor rates. The contracting officer excluded Perot’s proposal from consideration because the labor rates included in the proposal did not match Perot’s current Schedule 70 contract labor rates. Perot raised several arguments as to why its new, but unapproved, rates were fair and reasonable. First, Perot argued that the RFQ required that a contractor’s approved rates be “derived from” its GSA Schedule rates, and its proposed rates were, in fact, “derived from” its GSA Schedule rates. Second, Perot argued that even though a few of its proposed rates had increased slightly, the majority of its rates were lower. Finally, Perot argued that its rates were fair and reasonable because its overall price was lower than the awardee’s price. GAO rejected each of these arguments. Relying on FAR 8.404(d), GAO found that even if the lower rates proposed by Perot could be considered a discount from its current rates, the categories for which higher rates were proposed were improper. Thus, the contracting officer correctly eliminated Perot’s proposal as unacceptable. Approved GSA schedule rates are a ceiling when bidding on task orders issued under FSS contracts. Contractors should take care to make sure that prices offered are approved GSA Schedule prices or lower. Not only may proposing prices higher than those approved by GSA result in rejection of a bid, it also could result in allegations of overcharging in the event of a later audit by the GSA Inspector General. Thus, GSA contractors should make sure that federal sales personnel and any authorized dealers permitted to sell under the contractor’s GSA contract are adequately trained in this subject. – May 10, 2010 by Sheila Armstrong – K&L Gates LLP – This blog/Web site is made available by the contributing lawyers or law firm publisher solely for educational purposes to provide general information about general legal principles and not to provide specific legal advice applicable to any particular circumstance. By using this blog/Web site, you understand that there is no attorney client relationship intended or formed between you and the blog/Web site publisher or any contributing lawyer. The blog/Web site should not be used as a substitute for competent legal advice from a lawyer you have retained and who has agreed to represent you. Is a GSA Schedule Contract Right for You? Business people frequently ask Counselors with the Georgia Tech Procurement Assistance Center (GTPAC) how they can figure out whether it’s worth their while to go after a GSA Schedule. Here are a few pointers to guide your decision-making. First of all, it’s important to understand what a GSA Schedule is … and is not. A GSA Schedule is a contract awarded by a federal agency, the General Services Administration, to firms with established track-records of selling products or services. A Schedule contract is long-term (a base term of 5 years, with renewal options to a maximum of 20 years). Schedule contracts cover a wide array of products and services. Contract awards are based on “most favored customer pricing.” While issued by the GSA, a Schedule contract can be used by any federal agency and, in some cases, by units of state and local governments. Since everything is pre-negotiated, government agencies benefit from using Schedule contracts because acquisition lead-times are shorter, administrative costs are lower, and administrative steps are fewer. Your initial step in pursuing one of these contracts should be to examine the entire list of 39 Schedules, including nine Schedules administered by the Veterans Administration. You can search for details inside particular Schedules by conducting a key word search at http://www.gsaelibrary.gsa.gov/ElibMain/scheduleList.do. Look for the Schedule that most closely fits your line of business. Subcategories within each Schedule are called SINs — Special Item Numbers. Remember, there is not a Schedule for everything. You eventually may conclude that there is not a Schedule that’s a good fit for your business. If and when you find a relevant Schedule, GTPAC recommends you look at spending reports on individual Schedules at http://ssq.gsa.gov. This will give you some ideas about what kind of money is being spent on individual Schedules and who the prominent, winning Schedule contractors are. You should do further market research on your potential competitors. Use the GSA eLibrary at http://www.gsaelibrary.gsa.gov to identify existing Schedule contractors, their contract terms and conditions, their product and service offerings, and their pricing. Remember, too, that today’s competitors may be tomorrow’s business partners; GSA Schedule contractors are allowed to team-up with one another to execute government contracts. Once you’re ready to proceed, use the link in the GSA eLibrary for the Schedule you’ve identified to go to FedBizOpps — the central repository of virtually all government bid and proposal solicitation documents — so you can download the Schedule solicitation. Look for the link in the eLibrary that reads: “Click here to view the current solicitation on FedBizOpps.” An alternate way to find a solicitation is by using the links from this page: www.gsa.gov/schedulesolicitations. The solicitation will consist of several different documents, so be sure to download them all. Collectively, we’re talking about hundreds of pages here, so the real work now begins — you must read, and re-read, everything. Only you can make a serious and accurate assessment of the impact of GSA’s terms and conditions on your business. Particularly pay attention to the instructions in the solicitation — you will need to follow these “to the letter” to ensure that GSA accepts your proposal. Does all this sound too daunting for you at this point? Take heart! After all, there are lots of ways to do business with the government, not just through a Schedule contract. In fact, GSA itself contracts extensively with vendors outside of the Schedule process. You can take a look at a forecast of GSA’s acquisition needs at www.gsa.gov/smbusforecast. This forecast can help you plan your approach. And don’t neglect to consider possible subcontracting opportunities with GSA contractors; you can find the major ones listed at www.gsa.gov/subdirectory. Your GTPAC Procurement Counselor can help you find many other government contracting opportunities at the federal, state and local levels. Oh, and one more thing. If you do decide to to pursue a GSA Schedule contract, be sure to register for and attend GTPAC’s class entitled “Understanding the GSA Schedule Process.” Just click on the TRAINING tab on our website to identify the dates and locations of this class. © 2010 Georgia Tech Procurement Assistance Center – All Rights Reserved. Federal Construction Contracts: What Goes in Your Contract? As a construction contractor stuck in the down economy, you have probably began looking into federal and state public contracts. Its inevitable; we all know the government is still building, they build amazing projects, and they are certainly good for the money. What happens when my bid is selected? There are a lot of items that go into your federal contract. If you are a prime contractor negotiating with the public authority, you will generally be handed a lengthy AIA or ConsensusDOCS formatted agreement that follows the bidding specifications. If you are a subcontractor, you may be handed the new ConsensusDOCS federal subcontract template, or a vendor/subcontractor package created by the prime contractor’s counsel. Both situations leave little room for negotiation and involve a wealth of provisions aimed at satisfying a number of federal guidelines, regulations and job-specific protocols. So what are some vital principles that you should know before you look at your first federal contract? For you prime contractors, do not expect to be able to alter the terms of your contract after bidding. Bidding is premised on the fact that each bidder accepts the same contract. Attempting to alter the terms of the contract after a bid has been accepted can lead to bid protests. Thus, contracting authorities are not going to bend or break your obligations. The Federal Acquisition Regulation (FAR) is a 4 to 5 inch think manual mandating how the federal government procures work. The FAR can be located at Title 48 of the Code of Federal Regulations, Chapter 1 (48 CFR Ch. 1). Know the FAR like the back of your hand. You do not need to know what each provision means, but know how it is indexed and how to locate relevant provisions. Do not be afraid of the FAR either. In many ways, it is written to be easily read and absorbed by even the greenest of contractors. You can always discuss your questions with your attorney. Unfortunately, you cannot always base your understanding of your working relationship on the written contract. A doctrine known as the Christian Doctrine prevents just that. The Christian Doctrine was established from the ruling in G.L. Christian & Associates v. United States, a 1963 case which found that found that if a contractual clause was required to be in a contract by the FAR, it would be incorporated into the contract by operation of law. The Christian Doctrine has been further modified to apply (a) against the federal government in addition to against the contractor and (b) only for mandatory provisions in the FAR which “express a significant or deeply ingrained strand of public procurement policy.” See General Engineering Machine Works for more information on Part b above. So, even though you have a contract, filed with a plethora of restrictions, regulations, obligations and codes of conduct – it can be expanded by the effect of law. This is even more reason to understand the FAR clearly. Knowing these three principles will give you a good head start into obtaining a federal contract. The second step, for many contractors, is to find an attorney to help manage your risk and lead you through the construction process – dispute free. Today the U.S. Small Business Administration (SBA) and Google announced a new partnership and unveiled “Tools for Online Success,” an array of online resources and training designed to help small business owners harness technology to grow their businesses. The “Tools for Online Success” site (http://www.google.com/help/sba) features tutorials, video testimonials, and tips from savvy small business people who have leveraged the web to become more efficient, more cost-effective, and more successful. • Establish your online presence. One out of five searches on Google are related to location. Most local online listings such as Google Places are free, and if your business doesn’t have a website, there are ready-made site templates and free hosting services that make establishing an online presence easy. • Use free marketing to reach customers. You can build a fan base with free services like YouTube, Facebook and Twitter that keep your customers in-the- know about new products or specials and aware of promotions. These services are great “word of mouth” platforms – where a customer following you might tell their friends about your business. • Know your customers. Easy to use web analytics tools can tell you a lot about your customers by analyzing what search term brought them to your website or what they look at while they are there. This information can help you make smart decisions about what you feature and what search terms you should run search ads on. • Keep an eye on the latest trends. The growing popularity of smartphones means that more and more customers are searching for local information on the go. This makes it all the more important that a business’s online presence be accurate and up-to-date. You can link to your menu, give users driving directions, and even post digital coupons. When you receive a government bid or proposal solicitation, what’s the first section you read? If you’re like most people, you immediately focus on the “Scope of Work.” This is the section — referred to as the SOW — which describes the work that’s to be performed once the government awards an actual contract. But have you ever thought about the dynamics of concentrating too much on the SOW? Most folks, as they read the SOW, not only gain an understanding of the government’s needs, but also begin to convince themselves that they can perform the work scope. There’s a big problem with that. Convincing yourself that you can do the work is vastly different from meeting the government’s criteria for being selected to be awarded the contract. That’s why the Georgia Tech Procurement Assistance Center (GTPAC) recommends that while you certainly should read the SOW, you initially should concentrate on the section of the solicitation that describes the proposal selection criteria. Most government solicitations — especially those that involve the provision of professional services — will spell-out the selection criteria. Typically, this section of the solicitation will be labeled “Proposal Evaluation Criteria” or “Selection Criteria.” Basically, what this section discloses are the criteria the government will use to “score” or evaluate the proposals that are submitted. In essence, the government is telling you how they will grade your bid proposal. Believing you can perform a government contract is irrelevant to the selection process. You may, in fact, be able to perform the work (and do it well), but you won’t be awarded to contract unless and until the government is convinced you can do the work better than anyone else, and at a fair and reasonable price. How the government makes this determination is through application of the propopsal evaluation criteria. Thus, what’s really important to being selected for a government contract award is scoring well against the government’s evaluation criteria. When selection criteria are outlined in the government’s proposal solicitation document, they not only tell you what’s important to the government but also which criteria are more important than others. In other words, selection criteria are often weighted. For example, a solicitation might list three selection or evaluation criteria: past experience in performing similar work, adequate financial resources, and credentials of personnel assigned to perform the work. In this hypothetical example, the three criteria may not be regarded as equal in importance to the government. If that’s the case, the criteria also will indicate the order of importance or the “weight” each criteria is assigned. For instance, past experience may be assigned 35% importance, financial resources may be given 20% importance, and project personnel might be assigned a weight of 45%. This gives you clear guidance as to how the government will evaluate your proposal should you decide to submit one. Moreover, the criteria and the weights assigned to them give you clear guidance on what you should emphasize and elaborate on in your proposal. In the example just given, if your firm has plenty of past relevant work experience but you are unable to commit experienced staff to the government’s project, you won’t be able to score well against a major selection factor. If you are not able to assemble a qualified team — and commit to using them if awarded the contract — then you may want to take a pass on submitting a proposal. On the other hand, if you can “nail” each of the selection criteria (i.e., your firm prosesses relevant past work history, you have strong financial backing, and can assign highly qualified personnel to the project), then you should, by all means, proceed with the preparation of a proposal. Concentrating on the selection criteria early in the proposal preparation process will force you to be much more objective about evaluating your chance of winning an award. Remember, winning is all about convincing the government you can do the work, and not about convincing yourself. 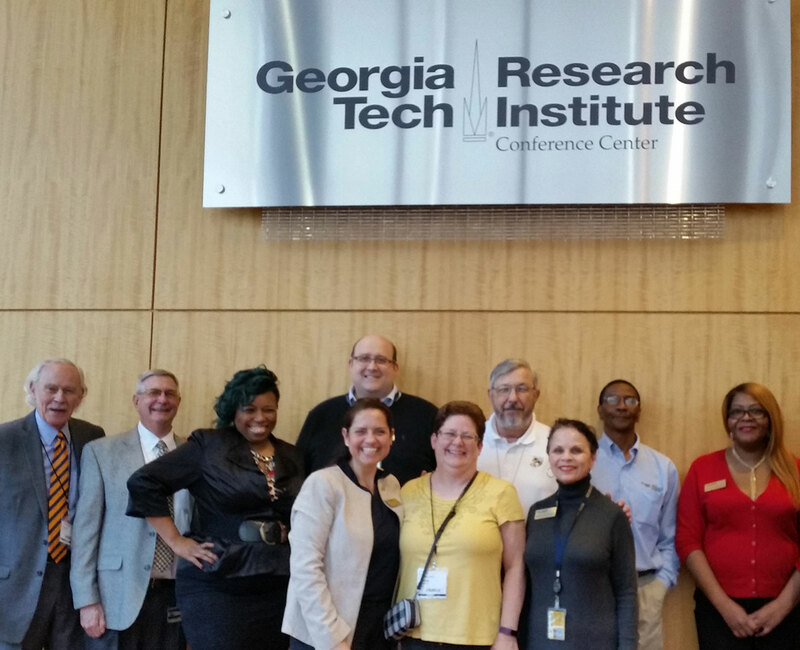 Counselors with the Georgia Tech Procurement Assistance Center (GTPAC) suggest that bidders and proponents score themselves, early on, against the selection criteria. If you score high, proceed with the preparation of your proposal, emphasizing throughout your document how you match-up with the criteria. If you initially don’t score well, you may wish to take a pass. Or, if time permits, you may choose to team up with another firm who can boost your firm’s overall credentials in relationship to the selection criteria. Whatever you do, don’t ignore the selection criteria or fail to address in your proposal how you stack-up against them. As the government evaluates the proposals submitted, each one is scored against the criteria. Proposals that don’t score well enough are eliminated from consideration. So, the most qualified firm in the world won’t be awarded a contract unless its proposal scores high in relation to the proposal evaluation criteria. Tip: Score your firm against the criteria initially — and be sure to score your proposal throughourt the proposal preparation process — to make sure you are “speaking to” the criteria. The title on this article says there are two important parts of a government solicitation. We’ve just outlined the importance of a solicitation’s proposal evaluation criteria, so what is the other important section? It’s called “Instructions to Bidders” (sometimes called “Proposal Preparation Instructions” or something similar). The Instructions section of the solicitation is a test of your appreciation for attention-to-detail. The government’s proposal preparation instructions must be followed to the letter, and you should provide no more and no less information in your proposal than that which is specified in the solicitation. Bidders and proponents are often influenced by their own opinions about that the government “must really mean” or what they “actually need.” Resist the temptation to think that way. If you have a suggestion regarding the scope of work or some other aspect of the work to be performed, voice it early, before the actual solicitation document is issued. If a “comment period” is provided for, submit your thoughts and suggestions within the specified time frame, and not later. When the final solicitation document is issued or is “on the street,” it’s usually too late to offer your opinions. At that point, you must focus on being responsive — exactly — to the Instructions to Bidders in order to be given serious consideration. Bid proposals which do not conform to the Instructions typically are declared “non-responsive” by the government and are literally discarded. The Instructions section of a solicitation often spells-out such things as the maximum number of pages a proposal can consist of, how the proposal is to be organized, how it is to be packaged and delivered, and even the font style of the text. Don’t risk your otherwise-well-qualified proposal being rejected — make sure you follow all instructions to the letter and be sure to meet the delivery deadline, not a second late! Since 2007, government contractors have seen a series of new provisions added to the Federal Acquisition Regulation to promote business ethics and contractor compliance. The National Defense Authorization Act of 2009 added yet another feature, which now requires the government to develop and maintain an information system containing specific information on the integrity and performance of federal contractors and grantees. This database system will be known as the Federal Awardee Performance and Integrity Information System (FAPIIS). The proposed rule for FAPIIS (74 Fed. Reg. 45,579) discusses additional obligations for contractors and government contracting officers. Many contractors this year must prepare information for the database, and certify compliance with FAPIIS requirements for bids and proposals. Contracting officers will review FAPIIS when making the key “responsibility determination” for all contract awards, including delivery or task orders. The proposed rule provides that FAPIIS will cover essentially all significant government contracts, including those for commercial and commercially available off-the-shelf items. The FAPIIS database will incorporate information from existing government sources, such as the Excluded Parties List System of suspended or debarred contractors. The Past Performance Information Retrieval System and Contractor Performance Assessment Reporting System, both contain past performance reports from federal agencies, and will provide information for the database. Contracting officers will be asked to report non-responsibility determinations and default terminations to FAPIIS. Suspension/debarment officials will be sending information on any administrative agreements with contractors that resolve compliance issues. Finally, the proposed rule requires larger contractors to report their own information to FAPIIS relating to criminal, civil and administrative proceedings. To protect against misuse of the information, the rule proposes that only government personnel will view FAPIIS data. However, a contractor can see its own information. Data is accessible for a period of five years and thereafter will be archived for another year to allow an audit trail. Significantly, a contractor can post comments regarding its FAPIIS listings and these explanations will remain part of the database unless the contractor revises them. The intent also is to provide an automatic notification to a contractor when new information is posted to the contractor’s record. A FAPIIS provision will appear in solicitations where the contract value is expected to exceed $500,000. The proposed rule also would require any contractor with federal contracts and grants totaling over $10 million to add information. This includes whether the contractor and its principals have within the past five years, been involved in criminal, civil or administrative proceedings in connection with the award or performance of a federal or state contract or grant, which resulted in a conviction, or payment of a fine or penalty of $5,000 or more, or reimbursement, restitution or damages in excess of $100,000. Even absent a contractor payment, settlements with acknowledged fault would be reportable to FAPIIS. Knowing that a wide range of matters might end up in FAPIIS, contractors will need to take this into account when resolving any criminal, civil or administrative matters. Also, what constitutes an “administrative proceeding” subject to reporting may not always be clear, particularly where all federal and state proceedings potentially are covered. Since FAPIIS will contain information covering a five-year period, some of that information may no longer be relevant. One example is a prior administrative action such as debarment or suspension that has expired or otherwise been resolved. One recommendation is that a statement be posted on the FAPIIS screen that might read: “Certain past performance in FAPIIS may no longer be relevant.” A contracting officer also should consider the magnitude and seriousness of any reported matters in FAPIIS, as well as the contractor’s corrective actions and comments. Moreover, contracting officers obtaining relevant adverse FAPIIS information are required to request additional information from a contractor demonstrating its responsibility, and document each contract file at to how the FAPIIS information was considered. Although contracting officers must consider the FAPIIS information when making the responsibility determination for a contract award, the proposed rule is not clear on using FAPIIS for past performance as a competitive evaluation factor, or for periodic past performance evaluations as contract work is completed. The proposed rule creates a new contract clause requiring larger contractors to update their FAPIIS information semi-annually throughout the life of contracts that are expected to exceed $500,000. As noted, contractors with over $10 million in contracts and grants must self-report, but the rule does not specify what information goes into the database for smaller businesses. The proposed rule does not prescribe penalties for contractors that fail to comply with FAPIIS reporting, although as a contract term and indicator of responsibility, it is difficult to ignore. But at a minimum those contractors with legal troubles that end up in FAPIIS will have a harder time winning contracts. Contractors can attempt to manage the FAPIIS database entries to provide context and a fair report. The proposed rule does not address a government contractor’s private sector work. FAPIIS is requiring the government to collect information from multiple databases, as well as information that never before has been collected and centralized. There are many questions left unanswered with the proposed FAPIIS system, but because this is a statutory requirement, it will be implemented in one form or another. by Dorn C. McGrath – National Defense magazine – May 2010 – Dorn C. McGrath is a shareholder in the Greenberg Traurig, LLP government contracts practice group. The views expressed are solely those of the author. Why Do Corporate Giants Land Federal Contracts Meant for Small Businesses? Few would disagree that federal contracts set aside for small businesses should go to small businesses — not corporate behemoths. And yet it seems to happen again and again. Take one recent example: in late December, an IT company named QSS, a subsidiary of Dell Inc., landed a small-business contract for nearly $21 million from the U.S. Coast Guard. How can this be? After all, Dell employs some 76,000 people, and the government’s definition of a small business is one that, in this particular industry, employs no more than 1,000. The answer depends on whom you ask. The most vocal small business activists insist that the government is acting negligently, even nefariously. Regulators in the federal Small Business Administration counter that the issue is mostly the byproduct of coding mistakes and mergers — human errors that the agency purports to be addressing aggressively under the Obama administration. Other companies that have landed small-business contracts include General Dynamics — the fifth largest defense contractor in the world — Xerox, Office Depot, John Deere and McGraw Hill, according to a 2008 report from the Department of Interior’s Office of Inspector General. As for QSS, in 2008 it was the nation’s 28th largest recipient of small business federal contracts, according to FedMine.Us. The 2008 report found that large corporations received $5.7 million in awards that should have gone to small businesses. But that was just within the Department of Interior. The total amount of small business contracts getting diverted to large corporations every year is difficult to ascertain, given the inherent murkiness of the issue. Some activists say it is well into the billions. In October, the government organization in charge of watching over the SBA — that is, the SBA’s Office of Inspector General — said this issue is among the SBA’s most serious problems. The issue is drawing more and more attention as politicians, economists and pundits talk about boosting small businesses in an effort to create jobs, reduce the unemployment rate and stimulate the lagging economy. At least two bills are working their way through Congress to address this issue. One is co-authored by a duo of Senate moderates, Democrat Mary Landrieu of Louisiana and Republican Olympia Snowe of Maine; the other, by the lesser-known Congressman Henry Johnson, a Georgia Democrat. By law, the federal government must strive to spend 23 percent of its entire purchasing budget for goods and services on small businesses. That’s a lot of money, seeing how the federal government spends more than half a trillion dollars every year. But by the government’s own admission, it hasn’t been meeting that mark. But the American Small Business League, perhaps the nation’s most vocal critic on this issue, scoffs at this contention. Chris Gunn, ASBL’s communications director, insists the true amount is somewhere between 5 and 10 percent. “The numbers speak to a very different reality,” he told Hispanic Business Magazine. For starters, he said, the government exempts about a fifth of its purchasing budget from the goal, with the explanation that some contracts are too large for small businesses to handle. This alone, Mr. Gunn said, brings the true percentage down to 17.5 percent. But Mr. Gunn says the bigger problem is that examples like the case of QSS are happening all the time. And those contracts, like QSS’s $20 million job with the U.S. Coast Guard for homeland security, count towards that 23 percent goal, he said. In October, the ASBL ran a report, and found that eight of the top 10 small business contract awardees in 2008 were large businesses coded “small.” The ASBL further estimates that at least half of the $93 billion the government says is going to small businesses is actually being diverted to large businesses. Officials with the federal Small Business Administration, which helps regulate federal contracting to small businesses, say the ASBL’s claims are exaggerated. “We’re not going to stand for any large business that masquerades as a small business and tries to engage in any malfeasance,” Joe Jordan, the SBA’s associate administrator for government contracting, told Hispanic Business Magazine. Also, after 2012, the problem should abate at least somewhat. That’s because, in July of 2007, a law passed forbidding large corporations from keeping the small business contracts of the small companies swallowed up in acquisitions. But the law grandfathered in, for five years, merger deals made prior to that date. This is what happened with QSS group, which, despite what the federal database says, no longer even exists as a company. (It is really just “Dell.”) That company’s five-year contract with the Coast Guard — which has been renewed every year — expires in late May, said Frank Islam, QSS’s founder and former owner, speaking to Hispanic Business Magazine. Nonetheless, the phenomenon is a widely recognized problem, and reform efforts have thus far failed to catch hold. This owes in no small part to how the reform advocates themselves are divided. In short, the most vocal and visible activists — such as the ASBL — are out of synch with the most powerful and influential lawmakers putting forth their proposed solutions, such as Senators Landrieu and Snowe. Ms. Landrieu and Ms. Snowe are the chair and ranking member of the Senate Committee on Small Business and Entrepreneurship. When introducing their Small Business Contracting Improvements Act in February, Ms. Landrieu said it would create at least 163,000 jobs. But where ASBL is often knocked for being too extreme, Sen. Landrieu’s effort is being criticized by some for being too mild. Most notably, although the bill includes strong language about the illegality of large companies landing small-business contracts through misrepresentation, it exempts the Department of Defense, which by many accounts has the worst record on this matter. However, Mr. Ferreira said the U.S. Hispanic Chamber is pleased with some aspects of the bill, such as its focus on reducing a phenomenon known as contract bundling. This is when the federal government, for the sake of efficiency, will consolidate several contracts into one super-contract. This often precludes small businesses from competing because they lack the resources for such large jobs. One particularly unsavory practice related to this is known as “bait and switch” sub-contracting. The term refers to when large corporations, under mandate from the feds, promise to hire, on bundled contracts, sub-contractors that are small businesses or minority-owned, and then renege after winning the job. It’s a tactic with which Bill Miera, owner of a Hispanic-owned engineering and IT firm in New Mexico with 50 employees, is all too familiar. For years, Mr. Miera’s Fiore Industries had been winning bids and working on two separate contracts with the U.S. Air Force, worth between $5 million and $10 million a year each. About 10 years ago, the Air Force bundled one of the contracts into a mega-contract worth around $50 million — far too big for Miera’s firm to handle. When the large company got the job, it dropped Fiore Industries and went with another firm, which was Caucasian-owned. Mr. Miera, a former board member on the U.S. Hispanic Chamber, was forced to lay off five employees. A few years later, it happened again, with another Fortune 500 company, which went even further. As a result of these two bait-and-switch examples, Fiore Industries’s annual revenues dropped to about $5 million from $8.4 million. It lost about 10 of 50 employees. Thanks in part to a contract with NASA, Fiore’s revenues have since climbed back to $6.5 million. But the company’s original plan was to be earning $50 million annually by now. “That hurts, especially when you’ve done good work, and then lose your contract, but not because you’ve done a bad job or your prices are too high,” he told Hispanic Business Magazine. Mr. Miera said the problem is that the law, as written, has no teeth to punish those who engage in such tactics. “The large businesses know that,” he said. For the entirety of the Bush administration, the ASBL, headed up by its colorful leader, Lloyd Chapman — a frequent pundit on cable news networks such as Fox, MSNBC and CNN — carped on the federal government on these issues. It also filed — and won — several lawsuits. Mr. Chapman claims the Obama administration has been no better. “I say it’s getting worse, because Obama has refused to close the existing loopholes that all Fortune 500 firms use to get small business contracts,” he told Hispanic Business Magazine. Mr. Chapman is advocating the federal contracting bill sponsored by Rep. Johnson of Georgia. Mr. Chapman says he helped write the bill, and typically refers to it as his own. Mr. Chapman and the ASBL are also highly critical of almost every other advocate on this issue. Senator Landrieu’s bill, they say, while well intentioned, gives recalcitrant corporate giants “a pass.” The U.S. Hispanic Chamber of Commerce is “backed by Fortune 500 companies.” But Mr. Chapman is particularly critical of U.S. Rep. Nydia Velazquez, (D-NY) — chair of the House Small Business Committee, whom he believes has done nothing to address the issue. He added that Boeing, the world’s largest global aircraft manufacturer, is a major campaign donor to Velazquez and other small business committee members. “My bill will take $100 million a year in federal small business contracts away from Boeing,” he said. Also, President Obama has proposed doubling the budget of the SBA, bringing it back to about $1 billion — which is where it was at the start of the Bush administration. But despite their contention that the problem is most attributable to human error, SBA officials don’t deny that fraud is a factor. Seven years of war in Iraq and nine years of conflict in Afghanistan have taken its toll on the men and women who have served there, with the number of disabled veterans jumping by 25 percent, or 2.9 million people nationwide, since 2001. Of those, 181,000 are veterans of the two wars in in Iraq and the current conflict in Afghanistan, while nearly one million are veterans of the Vietnam War. Once they left the service, many of these disabled veterans wanted nothing more than to get on with their lives, and the government, in many ways, has stepped up to help them. But there are still roadblocks and bureaucratic shortcomings that haven’t given our vets the support they need to thrive post-service. For instance, Congress enacted The Veterans Benefits Act of 2003 which established a program, administered primarily by the Small Business Administration, that awards set aside and sole-source government contracts to small businesses controlled by one or more service-disabled veterans. For all of its noble efforts, the program, and many like it has fallen short of its promises, and in some case have become victim to scandal. Late last year, the Government Accountability Office released a scathing report that found the program vulnerable to widespread fraud and abuse. Millions of dollars in taxpayer money that should have gone to honest disabled veteran-entrepreneurs were instead pocketed by imposters, who broke the rules and gamed the system to get contracts, according to House Small Business Committee Chairwoman Nydia M. Velazquez, D-NY. “When you consider the sacrifices our service-disabled veteran entrepreneurs have made, the findings of this report are nothing short of appalling,” she said when the report was released last November. The 10 firms indentified in the GAO investigation had received roughly $100 million in contracts earmarked for disabled veterans through fraud or abuse of the program (or sometimes both). In most cases, disabled veterans were used as fronts for large and even multi-national companies, yet in one instance, the firm’s owner was not even a service-disabled veteran. Widespread fraud in the program was only half the problem. The GAO investigation also found that the SBA and other agencies involved in the procurement process had few or zero safeguards in place to prevent fraud and abuse. In one of the bitter legacies of the Bush administration, the SBA’s fraud prevention efforts had been decimated by budget and staffing cuts. In a separate hearing last month before a subcommittee of the House Veterans Affairs Committee, Scott Denniston testified on behalf of the National Veteran-Owned Business Association (NaVOBA), which represents more than 2,000 small business owners across the country, who are veterans. Denniston, who is NaVOBA’s director of programs, noted that the 2003 law set aside 3 percent of all federal contract awards for disabled-veteran small businesses, but the statute never provided guidance or mechanisms to achieve the goal. To address that shortcoming, the Veterans Administration, on its own, established the Center for Veteran’s Enterprise to bring together veteran-owned small businesses, federal agencies, and prime contracting communities. But the VA has never embraced the program from an “institutional” standpoint and hasn’t provided the resources to expand the program despite demand for its services growing from the influx of Iraq and Afghanistan veterans, Denniston said. In another festering problem, the VA was tasked with setting up a computer program to certify disabled-veteran-owned firms as well as veteran-owned firms. The process is supposed to curb the fraud and abuse uncovered by the GAO report. But getting verified “is burdensome, overbearing and so untimely as to cause serious financial strain on [the firms it’s supposed to serve],” Denniston testified. “Some of our members share stories and frustrations of the process taking over six months to complete, with the veteran applicant never being told where his/her application is in the process,” he explained. The drastic recession has made the program’s problems even more acute. In the most recent hearing before the House Small Business Committee this week, Justin Brown, a lobbyist for the Veterans of Foreign Wars (VFW) highlighted the seriousness of the problems veterans face in the current economy. As of February 2010, more than 1.1 million veterans are unemployed. The jobless rate among the youngest veterans is a staggering 21 percent, he said. More veterans are unemployed than are currently serving in both Iraq and Afghanistan. For returning veterans, the prospect of starting a business is appealing. An SBA survey found that 22 percent of veterans were either purchasing or starting a business, or considering doing so. “However, for a veteran interested in entrepreneurship, the reality is quality resources are scarce, disjointed, and available to few,” Brown said. Like any budding entrepreneur, access to capital is the biggest problem. The SBA has two loan programs targeted at veterans: the Patriot Loan Express and the microloan program. The Patriot program makes up to $500,000 available for most uses, features low interest rates and qualifies for up to an 85 percent guarantee from the SBA. So you would think veterans would be flocking to the program. But since its inception, only 155 loans have been made nationwide, he said. One would speculate the lack of participation is most likely due to layers of red tape and low demand. Microloans up to $35,000 are available to any small business that qualifies according to size guidelines, but since last October, only 53, or 5.32 percent, of the 997 loans have been made to veterans. Even more alarming is the fact that only three loans have gone to disabled veterans, according to Brown. What’s more, although the 2003 law required the government to award 3 percent of all contracts to firms owned by disabled veterans, it has yet to meet that goal. Ironically, the Defense Department is one of the biggest laggards, Brown noted. To their credit, lawmakers have attempted to address these problems. Two years ago it passed a law ordering the SBA to create an interagency taskforce to coordinate veteran small business programs. But the agency has yet to follow through. In some case, however, Congress itself is the problem. The House recently passed the Job Creation through Entrepreneurship Act of 2009. Among its provisions, it would increase the number of veterans’ business centers around the country. But the bill has been stalled in the Senate by political infighting that is clogging the legislative agenda. For veterans to succeed not only with federal contracts, but as small business owners, they need: training, capital, compliance, and interagency cooperation, Brown said. But today, despite their sacrifices, their options are limited. Federal agencies continue to ignore their public mandates and programs are still starved for funds. Surely, those who have given so much to their country deserve better. by Keith Girard – April 8, 2010 – Copyright © 1999-2010 – AllBusiness.com, Inc. All rights reserved.